LADS is a unique system of laser airborne depth sounding — a self-contained, transportable bathymetric survey system that uses a pulsed laser mounted in a fixed-wing aircraft. It is internationally recognised as the fastest and most cost-effective tool for bathymetric survey in coastal waters up to 70 metres in depth and in areas that are too shallow or otherwise navigationally hazardous. LADS was invented and developed by the Weapons Research Establishment’s (WRE) Electronic Research Laboratory and Advanced Engineering Laboratory in response to a request from the Royal Australian Navy’s (RAN) Hydrographic Service. The RAN estimated that it would take 80 years for it to complete the task of conducting hydrographic surveys of Australia’s continental shelf using ship-borne acoustic depth-sounders to measure the depth of coastal waters. In 1975, the first phase of the WREL ADS program commenced. Under the leadership of Mike Penny, an experimental system, WRELADS I, was constructed and installed in a ‘Beechcraft’ Queenair aircraft: 148 hours of test flights were made in 1976 and 1977. WRELADS II followed. This was a more advanced system with full scanning, data recording, and horizontal position fixing capabilities. WRELADS II was installed in a Dakota aircraft and 550 hours of flight trials were undertaken from 1979 to 1984. BHP Engineering and its partner Visions Systems Ltd won the contract to develop an operational version of the system in 1989. A fully operational system, LADS, was launched in 1992, and the RAN accepted LADS for operational use in 1993. The result was a complete system ahead of any other comparable system in the world. Vision Systems bought BHP’s share of the LADS business in 1994 and established its subsidiary, LADS Corporation, to operate and maintain LADS under contract to the Australian Defence Force (ADF) and to hold the licence to exploit the LADS technology commercially on the international market. In 1996, an improved LADS laser platform was developed for United States Navy use in a P-3 Orion aircraft. In 1998, the new-generation LADS Mk II commenced commercial operations mounted in a de Havilland Dash 8-202 aircraft. 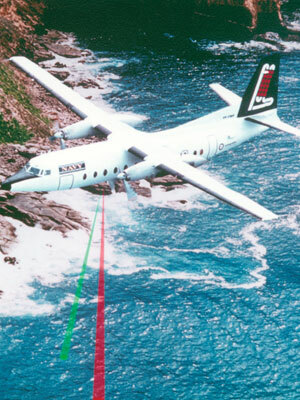 In June 2000, Australian defence and high technology engineering contractor, Tenix Defence Systems Pty Ltd acquired Vision Systems’ defence business, including LADS Corporation and the company was renamed Tenix LADS Corporation Ltd.
By early 2001, LADS Mk II had been deployed on contracts in Australian waters for the ADF and in support of international oil exploration and seismic survey companies. By 2002, the system had been used to survey more than 75,000km2 of seabed, in places as diverse as Alaska, Florida, Ireland, Norway and Qatar. LADS technology continues to find new international markets for different applications, especially in the oil exploration and coastal survey work. For his contribution to the development of LADS. In recognition of his substantial and original contribution in the application of lasers to ground mapping and underwater charting. For his work on LADS.